Microsoft's KIN quickly exited the mobile scene soon after it made its presence known for a very short time in the market, and with its demise, all hope for a European launch was seemingly abandoned. 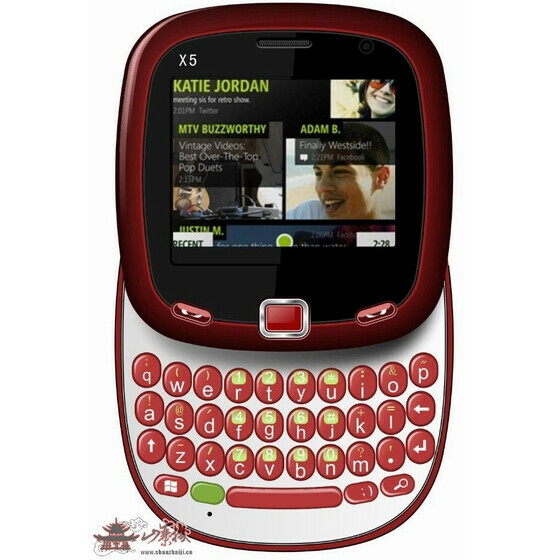 Between the two KIN devices manufactured by Sharp, the KIN ONE was regarded to be the more compelling handset due partly to its compact size and relatively easy to use QWERTY keyboard. Although production for the handset has long ceased, it looks as though consumers who still yearn for the interesting looking handset can still get their fix with a knockoff courtesy of China. The X5-01 Haina G22 is a Microsoft KIN ONE inspired handset from the great land of China that replicates meticulously the design of the forgotten handset – plus, it tacks on some additional features. This KIN ONE knockoff employs a 2.2” QVGA display, 1.3-megapixel camera, VGA front-facing camera, and is a dual-SIM device. Even though pricing is yet to be known for this replica, we'd imagine for it to be quite easy on the pockets. So if you still yearn for a KIN ONE like handset, you might want to keep this in mind when it's released – which should be soon.